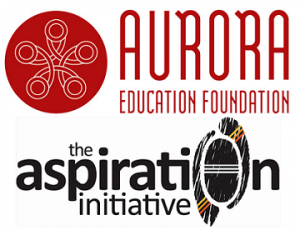 The Aurora Education Foundation’s vision is to transform the lives of Aboriginal and Torres Strait Islander Australians through education, one life at a time, growing the numbers of Indigenous leaders, mentors and academic role models. Since 2011 the Foundation’s leading program has been The Aspiration Initiative (TAI), which enhances educational engagement and academic outcomes for Indigenous students from Year 8 through to the first year out of high school. The program includes 200 hours of residential academic camps per year, tutoring, pastoral care and mentoring. TAI programs currently operate in Perth, regional Western Australia and Western Sydney with funded plans for immediate expansion. TAI students succeed at three times the national Indigenous rate in ATAR attainment and twice the national Indigenous university enrolment rate. The Foundation offers a values-driven, team environment of committed collegiate staff. The culture is built on excellence with regular professional development across the whole team. In addition to a competitive salary there is immediate access to salary packaging. You will head up the development, expansion and management of TAI working extensively with Elders, communities, schools and students, as well as providing strong leadership to our dedicated staff. You will see the big picture, understand the need and create the right programs, supports and environment. You have a background in community, human services, health, education or a like-minded corporate where you have been responsible for managing and developing services, motivating and developing staff, measuring performance and reporting on program success and funding. Program and people management experience – of specific importance will be the ability to build, monitor and manage programs and teams, with an output and continuous quality improvement focus. Commercial acumen – an ability to design and deliver innovative service offerings, navigate funding and adeptly manage budgets. Aboriginal & Torres Strait Islander people are encouraged to apply. To be part of the changing conversation around what is possible in the area of Indigenous education, please send in your resume and cover letter responding to the skills required above quoting reference #94774. Alternatively, call Richard Green on 02 8243 0570 to discuss your interest. Please quote in application: National Program Manager via Pro Bono Australia.